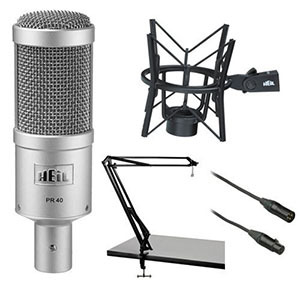 Condenser microphones come in all kinds of shapes, sizes and formats. What is really great about this particular design is that there is always room for improvement. Today we are going to talk about the more refined segment of the condenser market. As expected, the models which you will learn about in this guide are among the best condensers on the market at the moment. Once we go over our selection for the top 10 best condensers under $500, we will discuss what this segment offers in terms of performance and features as well as other things. Let’s get started. Built in pop filter which actually works and reduces pops. Aston is not a brand you will hear about very much unless you are into more niche designs. Their policy is that proper music production requires proper tools and that there should be no compromises. Aston Microphones Spirit shows exactly what those values are capable of yielding. This mic is so much more than just your old regular condenser microphone. For starters it look quite exotic with its brushed steel chassis, steel wire built in pop filter and a steampunk aesthetic in general. 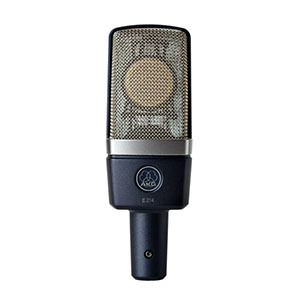 With that said, this mic was designed using input from numerous professionals in UK, which makes it one of the best suited models for an aspiring producer. Additionally, all of the good features are there as well. 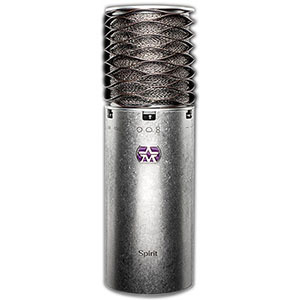 Rarely do condenser microphones reach the level of legendary such as Electro-Voice RE-20. Granted, this mic isn’t something you will often see in most enthusiast studios. Where you will run into it are professional radio booths and vocals recording studios. RE-20 is simply one of the very best models on the market for translating human voice into a digital format. The mic itself features very large side address surfaces in addition to the top address portion. It comes with a built in pop filter, an impressive set of hardware and a chassis that can probably withstand a thermonuclear war. Because of all that, RE-20 has manage to establish itself as the go to choice for so many producers out there. It's another voice optimized mic that isn't great with instruments. Rode’s higher end mics are up there with the best on the market. There’s no doubt about that. One great example of Rode’s offer in this segment’s the Rode Broadcaster. As you can probably tell from its name, it was primarily designed for radio rooms and applications such as podcasting. With that said, there’s a lot of performance in there. On the outside it looks quite professional. There is nothing flashy about or nor did they particularly worry about aesthetics. This is one of those silver pill designs you keep hearing about. In terms of features and performance, Rode Broadcaster has a lot to offer. A built in pop filters and a voice optimized low cut filter are just some. Overall great build quality which inspires confidence. Features a built in rugged mounting system. It's a jack of all trades which isn't necessarily good. It looks like a vintage piece of gear you would find in a ’80s studio, but it is actually one of the most interesting condenser microphones available at the moment. The name of this model is CAD E-100S and it has quite a bit to offer to those who are looking for something different than your regular silver pill package. CAD E-100S features a true side address chassis which is thin but large. If you look into the grille you will see the massive 1 inch diaphragm capsule sitting internally suspended and waiting to be put to use. This mic comes with your standard -10dB pad and a high pass filter. In terms of performance it is very well rounded. Great hardware including a rock solid diaphragm design. Plenty of accessories for to get you started right away. No matter how many condenser designs we go over in this market segment, AKG C214 is still going to be one of the most popular models. AKG’s large diaphragm condensers have quite a bit of a reputation. A good chunk of that rep is due to this very microphone. Why is it so popular? It is simple, robust and reliable. The chassis C214 sits in resembles those vintage models. It’s a side address only layout that is meant to expose most of the capsule to the user. The package we are looking at today includes a whole lot of accessories, making it all very attractive. If you need to start working right now, this kit is the way to go. When it comes to true high end solutions for professional recording studios, chances are that you won’t find a more trusted brand than Shure. They are known for their SM58 but it is models such as the Shure KSM141/SL that really show what this brand is capable of. It is a pretty unusual condenser that comes packed with features. As you can probably tell from its design, this is a pencil condenser. In other words it feels at home around acoustic instruments, drum kits and similar environments. 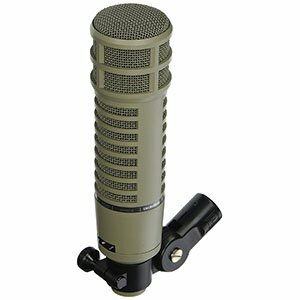 This is a top only address mic that comes with powerful attenuation options as well as numerous filters and adjustable polar patterns. Overall it’s one of the best instrument mics out there. 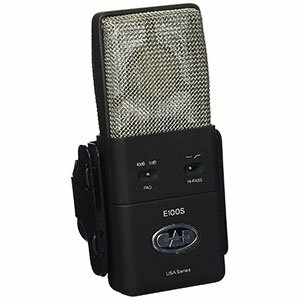 A simple yet reliable solution for more refined recording. It's treble heavy, which isn't too big of a deal. It is no secret that Rode NT2A is one of the most trusted microphones on the market at the moment. There are numerous reasons for this, but it all comes down to what Rode has intended for this particular model. They wanted to build an overall good performer and that is pretty much what this model represents. It simply works. With its somewhat vintage design, Rode NT2A is definitely one of those mics that will fit into any studio. However it is arguable that its great features and gold sputtered capsule have to do more with that. You are looking at three types of high pass filters as well as different attenuation options. Not to mention the abundance of accessories. Audio Technica’s higher end line of microphones is truly something. If you’re used to their entry level models, these condensers will definitely put things into perspective. Audio Technica AT4033/CL is one such model and it brings quite a few awesome solutions to the table. With that said, you probably wouldn’t come to that conclusion by just looking at it. What defines the AT4033/CL is its capsule design. Actually it has to do more with the way the capsule is suspended within the chassis. They have used a floating system which greatly reduces noise but also vibrations. On top of that you have a very precise and delicate diaphragm sitting inside there which brings in high levels of accuracy. Impressive performance range that is leaning towards recording of instruments. It has trouble with dealing with certain vocal profiles. Good microphones come in all kinds of formats. 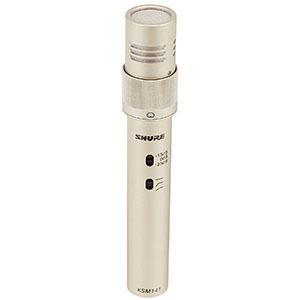 Shure’s KSM32/SL represents a type of mic that is optimized for use with all kinds of instruments. It is a simple looking model but one that hides quite a lot of potential. For starters it is capable of handling rather high levels of SPL by default, but even more with attenuation. The microphone features a super low mass diaphragm made of Mylar. Combined with a decent internal suspension system, it definitely adds to the overall performance profile. If you need something that can do a good job with vocals but really capture the nuance of that vintage amp you are running, this Shure is a good choice. It’s a good performer. 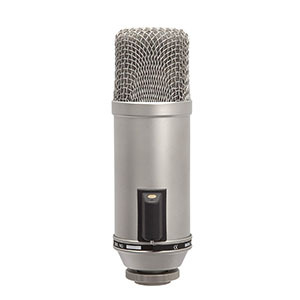 When it comes to finding a good general condenser mic, you will run into numerous different models. Heil Sound PR 40 is one of the better ones. Its value comes from the fact that it is not trying to attract users with a flashy design or gimmicky features. Instead it offers a rock solid performance and consistency. That’s quite rare. Generally speaking it might come across as just another silver pill. It definitely has that aesthetic to it. However, it only takes a few hours of use to find out that PR 40 is nothing but your average condenser. Its performance profile is designed mostly for vocals, but there is quite a bit of wiggle room for recording acoustic instruments. Are High End Condensers Worth Getting Into? Condenser microphones, in all of their glory are pretty diverse in nature. There are awesome budget models out there which really redefine the bang for the buck value, but there are also high end models like the ones on our list above. Figuring out whether or not it is worth investing in one will almost completely depend on your intended application. If you are just starting out and want a good piece of hardware to learn on, there are much better choices out there. We always recommend that you go with a proven $200 condenser as that’s currently the sweet spot. On the other hand, if you are past that point and are already established as a producer. Well, then you probably know the answer to the question from the title. If there is one thing you everyone needs to understand about microphones in general, it is that no single mic is a be all, end all solution. Should you go to top five recording studios and talk to the sound engineer, you will find out that they own pretty sizable collection of microphones. Once you go past a certain stage on your journey as a producer, you realize that every mic is a tool that does one thing better than most other mics. Then you realize that owning 10 of them might not be enough, let alone owning one. What Makes A Good $500 Condenser? Now that we have answered the one question that is on everyone’s mind, lets answer one that should be on everyone’s mind. What makes a good $500 condenser? What are some features you should look for when looking for one? Unfortunately there is no simple answer. Instead, you have to start with your intended application. At this level, condensers are pretty much designed to fill out a niche role of some kind. There are your mics which really do well with capturing the nuances of human voice, but then there are those which are better suited or recording instruments. Truth be told, even the vocal microphones can be divided into those that work better for singing, broadcasting and so on. Because of that the number one step to finding a good mic is to know what kind of work it is expected to do. This is where things are pretty straight forward for the most part. You will want a side address model that has a decent frequency range and a preferably adjustable polar patterns. That’s a pretty broad description, right? The thing to understand here is that each of these microphones has a sonic profile of its own. Some will work better with male vocals while others will generally work better with female ones. It has to do with how the microphones handle lows vs mids and trebles and so on. With that said, unless you have a really deep voice, most of the models on our list that fit the description we have you just now will work just fine. Recording instruments is a very delicate subject from a purely hardware point of view. Recording acoustic instruments as well as amps requires you to expose your microphone to some pretty serious SPL levels. SPL stands for Sound Pressure Level meaning that too much of it can actually damage your condenser. Think of it as exposing a very delicate membrane to violent winds. With that said, actual damage is very rare. It is much more likely that you will run into excessive noise. In order to avoid all of that, look for microphones which have a high default SPL handling ability. 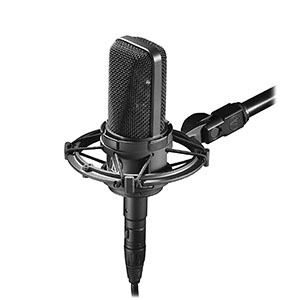 In combination to high SPL abilities, you would also want your mic to have an attenuation pad. If you plan on recording amps, look for -20dB attenuation. As a matter of fact more attenuation can’t hurt if it comes in increments of 10dB. Next, you will want many different polar patterns. Some mics offer two patterns while others offer more than that. The ability to switch between various polar patterns will generally give you more maneuvering space for finding that perfect mic position in the recording room. 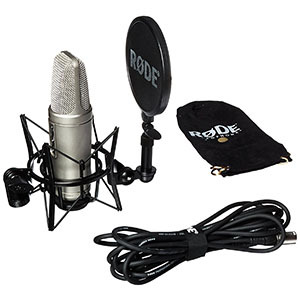 Learning how to properly use a condenser microphone comes with time. This is a skill that has to be developed with frequent trial and error. While we can’t supplement that experience with a guide of some sorts, we can help you avoid some of the most common mistakes people make when they get into recording. Isolating your microphone from vibrations is imperative to getting a good recording. With microphones of this caliber, getting a good shock mount is really worth it. Most microphones come with some sort of shock mount already included. However, often times there are much better mounts in the aftermarket section. Do the necessary research and make sure that your mic sits in the best possible nest. One thing is for certain, reducing noise and vibrations is much easier on a $500 mic than on a cheaper model. Reason for this that a $500 usually features some sort of internal suspension system which does a lot of work. The next tip we would like to give you is to work with microphone positioning. Experiment with different setups and find the one that works best for your needs. 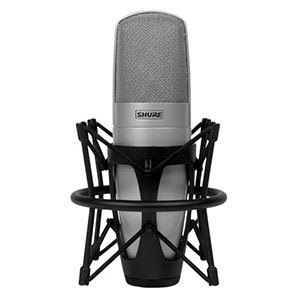 Investing in a more serious condenser microphone is something that awaits any serious producer and sound engineer. Once you reach a certain level of experience you will realize that there are way more expensive models out there and that spending this kind of money is like paying an entry fee to a show. Even so, these are some of the best condensers we have access to today. If we had to choose one, Aston Microphones Spirit would be it. This mic has such a unique nature and that’s without even touching upon its crazy aesthetics. It’s simply an awesome mic.